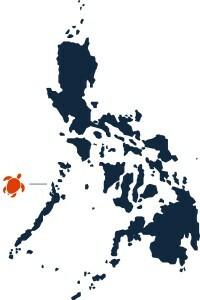 From El Nido town to Duli Beach is approximately a 25 kilometer drive and is best done by motorbike, tricycle or car. 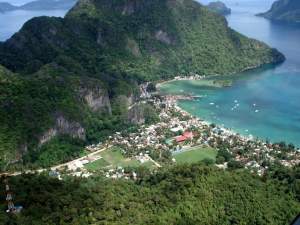 In El Nido town you will find different places that will rent out motorbikes. A motorbike will cost you around 600 pesos a day. Tricycles can be flagged down on the street in El Nido. For a full day two way trip the driver will charge you around 1500 peso per tricycle and for a one way trip around 1000 peso. If needed we can help you arrange it. The resort has a car with driver which can be arranged for your transportation to and from the resort for approximately 1500 peso per trip, depending on time of arrival and availability. If required please contact us. From El Nido town go north on the national highway towards the direction of El Nido Airport. After 10 km turn left at the ‘Pasadena – Bucana – sign’, so stay on the concrete road. After another 14 km turn left at the ‘Bucana – sign’, this is where you leave the concrete road and continue on the dirt road. After 4 km keep right at the junction just before Bucana, here the road and therefor you start your climb over the mountain. After another kilometer you will see a small sign on your left: DULI BEACH. This is where you turn left and leave the “main road”. Turn left and head west when you reach the beach for another 200 meter, Duli Beach Resort is located in the west corner of Duli Beach.